at 7pm in the Ithaca Town Hall, 215 N. Tioga St. 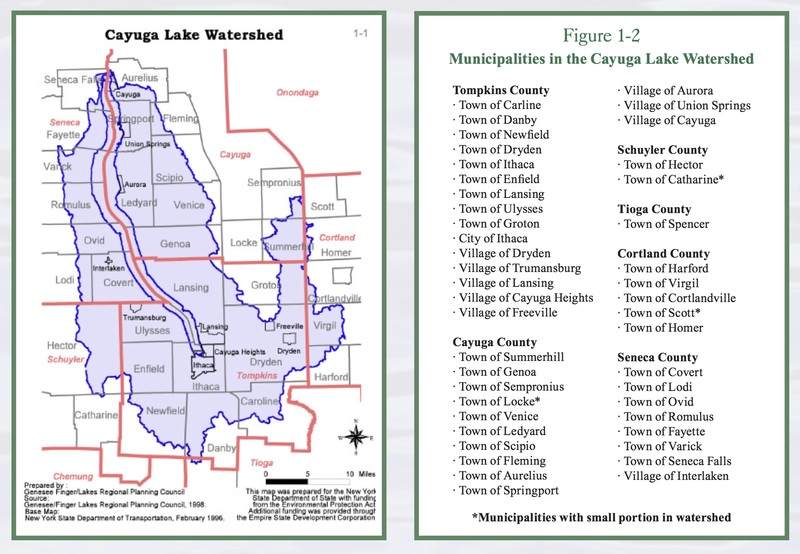 The Intermunicipal Organization consists of appointed representatives from municipalities within the Cayuga Lake watershed. The below map, taken from the 2001 Restoration and Protection Plan, shows municipalities within the watershed.